It's time for another epic review! Yay!!! It's been way too long and I'm way too far behind like with everything the scramble to catch up is upon me but I'm going to try my best here to keep rolling info out. 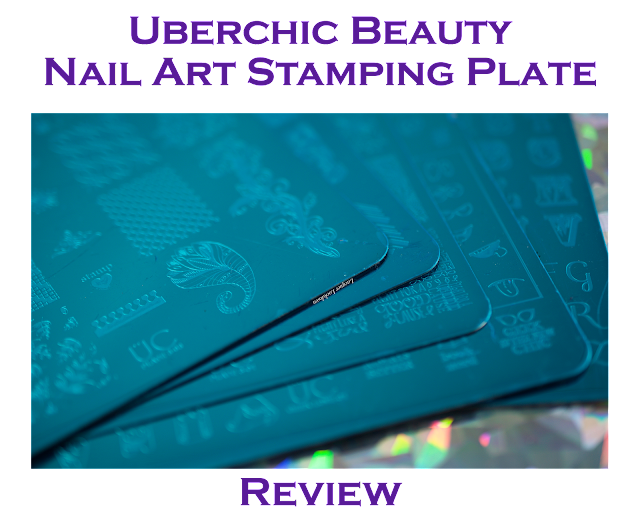 Today I'm reviewing the 3rd collection of stamping plates from UberChic Beauty. A brand that I totally love and adore created by a woman I totally am thrilled and honored to work with Brittany Hull. At this juncture UC has gone on to release collections 4 & 5 along with some stand alone plates and stampers so you definitely want to go check out her brand. Now let's get started and as usual my reviews are broken into sections that are easy to flip through! Does this brand even need an introduction these days? 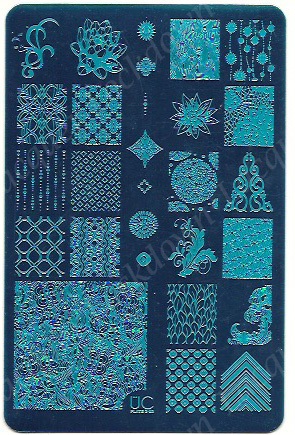 In the last 6 months it has swept through the stamping world and left an indelible impression. Since then you've seen me post one review and several nail art looks along with tutorials. I think its safe to say this brand is safely ensconced within my heart. But for those that don't know this US based indie brand hit the scene around February and has since release 3 collections each consisting of 3 plates along with more than 6 individual stand alone plates, some of which I will also be reviewing for you today. 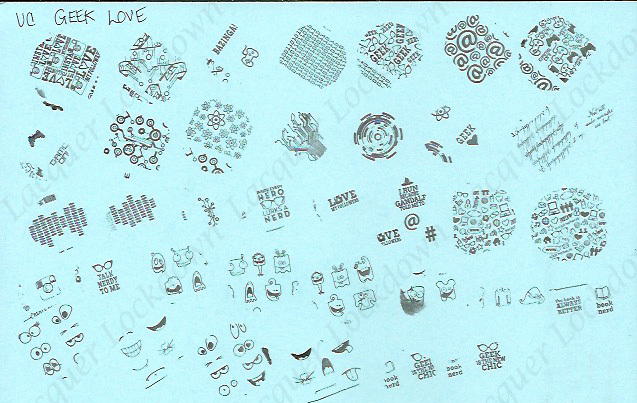 Along with this healthy growth she has also released her own customized scrapers, stampers and magic dust! UberChic plates are BIG. As big as the plates released by Fab Ur Nails and MOS. Very big. 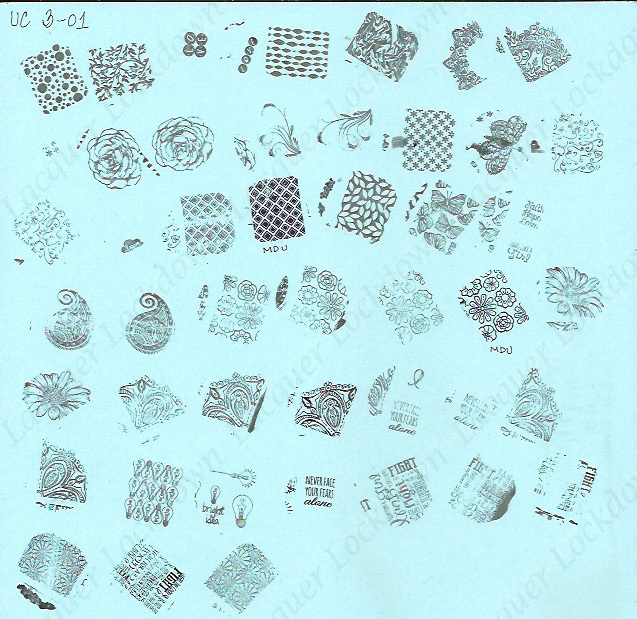 The designs are big but they fit small nails as well as large equally well. This was actually super important to Brittany since she didn't want anyone to feel left out of the fun or run into the sizing issues quite a lot of us face generally depending on whether we have long or short nails. 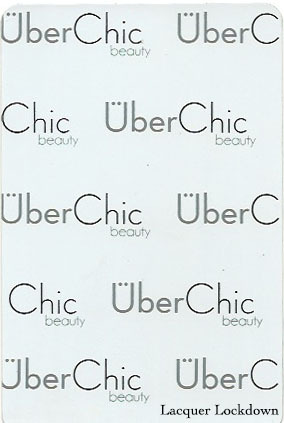 I've already placed UC full sized image measurement in my full size nail chart however the UC plate full size images measure 2.0 x 1.7 cm length by width. They've definitely got most users covered and yes I am including myself in that category though right now I'm sporting shorties (at least for me) ;) You can see from the measurements below that UC plates are pretty generously and appropriately size compared to competitors on the market. 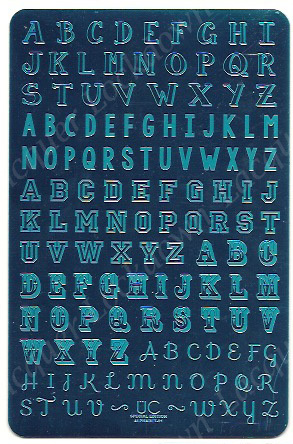 You can look at the common brands below as a point of comparison, but if you are interested in a broader comparison across many brands you can click here to view a comprehensive chart I created with measurements from most brands of stamping plates. Also I have recently added some new measurements to the chart so be sure to check it out! All of my swatching is always done with Wet N' Wild Black Creme and my gold standard XL marshmallow stamper from Bunny Nails (4 years old) or my marshmallow stamper from Magno Nails. It's my system for high performing readily available cheap polish that works well for swatching. 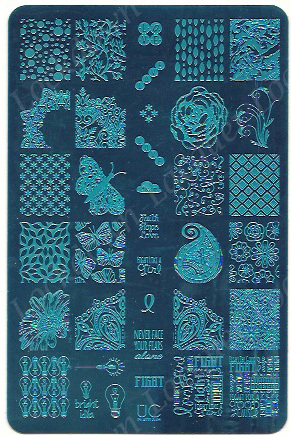 In a case where my cheap but effective polish isn't quite up to the task of swatching I switch to the good stuff - Konad Special Stamping polish or Mundo de Unas in the event I am unable to pick up an image. This time I did find I had some problems with full pick up on my UC 3-01 plate that was just a touch too finely etched however when I switched to MdU I was able to pick up my images without any problems. The rest of the plates swatches through marvelously with the cheap stuff which is entirely the point of swatching with it but more on that below. Anywhere which I switched to MdU has that annotation below the image in question. So why Wet N' Wild other than the aforementioned explanation? 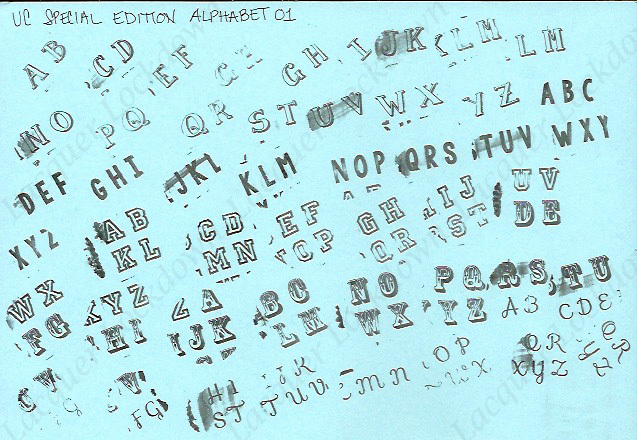 Well aside from being cheap it's the lowest quality polish I can use for stamping. 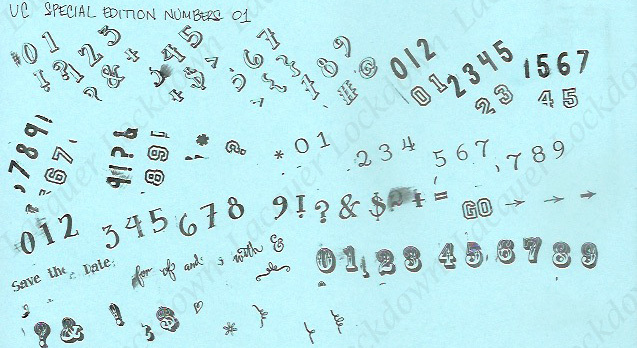 Which means I don't expect images generated by WnW to have near the clarity of those generated using a polish make specifically for stamping. 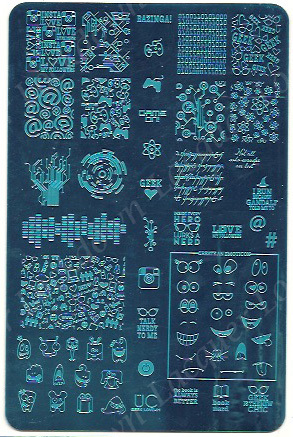 Stamping polishes allow an image to stamp with even more clarity and crispness than regular polish across any brand. End of story. 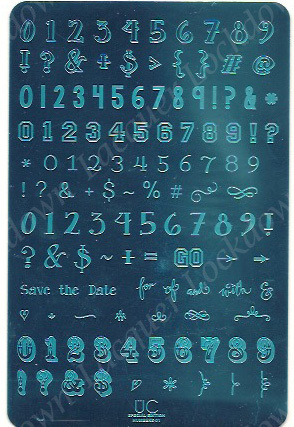 If I have a plate that stamps well with WnW polish I can be assured that the etching on these plates is excellent so much so that it can support stamping with a polish that is not meant for that purpose. You know people ask me all the time why I don't do reviews that include nail art and the answer is really simple. I say this without any ego attached but I can make any plate sent to me for review look like magic on my nails with the right design, the right polish, the right lighting, and the right photography and post production editing. 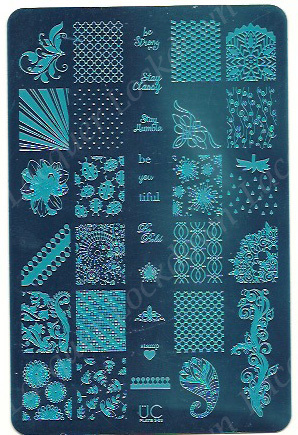 So of course I therefore have a hard time reconciling a great plate with great nail art because it can either be the user making the stamping plates look flawless or the plates themselves can be flawless. However swatches will never ever lie. In fact all the good and bad comes out right for all to see. It's a leveler and these swatches clearly speak to the quality of Brittany's plates in particular I am blow away by the crisp detailing on these numbers and letters plates. 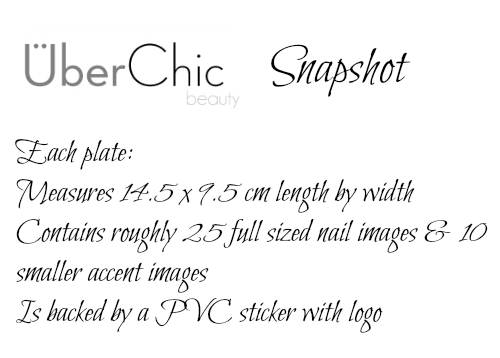 Also I wanted to point out if you do receive a plate that has some problems UberChic has phenomenal customer service so you can simply email and quickly get your problems resolved! 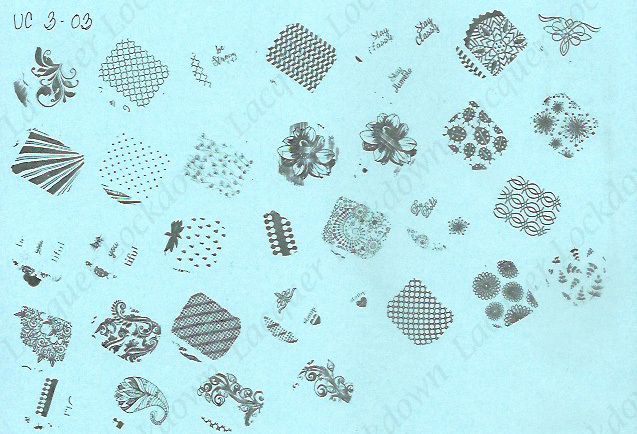 Btw I took out the stamping polish comparison section. I've been asking and asking about it and the usefulness of it and never got much of a response either way so I removed it. It's actually a lot of extra work and if there is no benefit to doing it then I'd rather just take it out. Let me know if you want it returned otherwise I'll leave my reviews like this from this point forward.